Giving medicine to kids can be hard sometimes. And although most vitamins are already flavored to attract kids, it still can be a hassle for busy moms to give vitamins in syrup form. I know I did have a hard time with Rap since we were always in a hurry. I'm just glad that there are chewable vitamins that made my job easier. 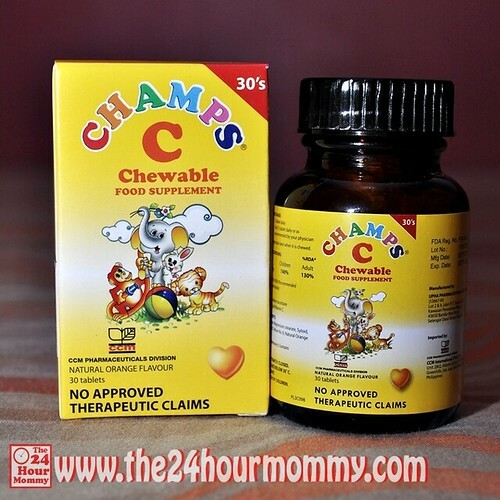 A new player in the kiddie vitamin arena is Champs chewable vitamins. 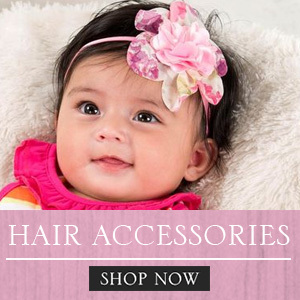 Manufactured by the Chemical Company of Malaysia (CCM), the largest generic drug company in Malaysia, Champs come in different chewable variants that will suit your child's taste and daily vitamin requirement. Champs Vitamin C - Fun vitamins for protection against common illnesses. Each bottle contains 100 pieces of 100mg Vitamin C: 50mg as Calcium Ascorbate and 50mg Sodium Ascorbate which are mild for the tummy. The heart-shaped tablets have a delightful orange flavor and costs only Php 108 per bottle. 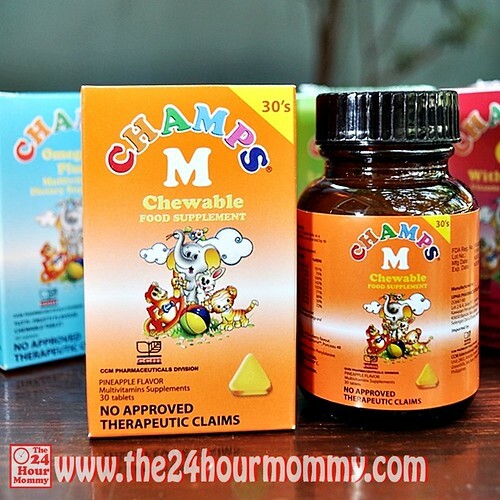 Champs Multivitamins - Fun vitamins to maintain general health. These triangle-shaped tablets contain Vitamin C and 9 other essential dietary nutrients and come in a great-tasting pineapple flavor. Each bottle costs Php 180. 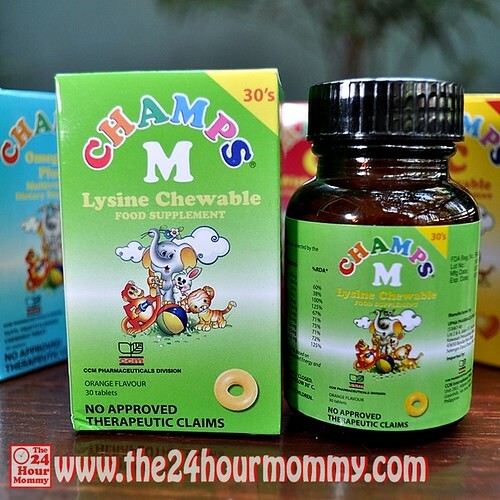 Champs Multivitamins with Lysine - Fun vitamins that boost the appetite. 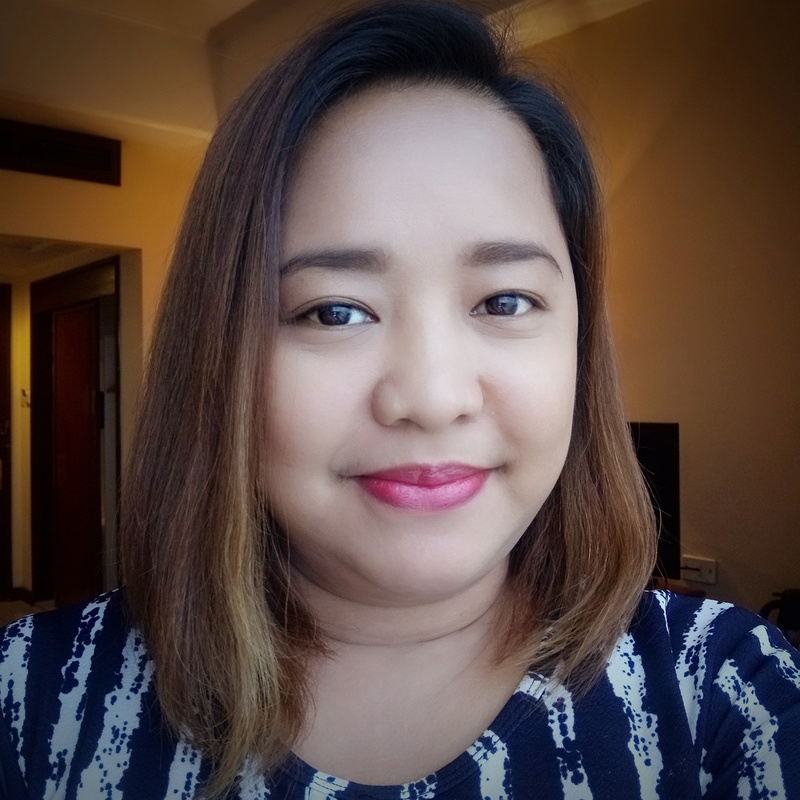 Nine essential multivitamins plus Lysine and Folic Acid are packed in each donut-shaped, orange-flavored tablet and is priced at Php 252 per bottle. Champs Omega-3 Plus - Boosts brain development and performance. Omega-3 helps in developing the brain and boosting its performance so it's perfect for school-aged kids! These multivitamin tablets are heart-shaped and they have a yummy tutti-frutti flavor. Rap is 13 already but he's chewing a tab every day because I read in the box that it can be also taken by adults. Each bottle costs Php 252. 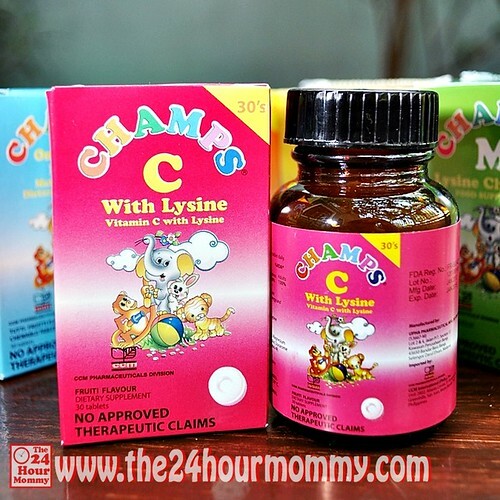 Champs C + Lysine - For recovery from sicknesses. Kids who are recovering from illness not only need multivitamins but also an appetite enhancer to make their recovery faster. These donut-shaped tablets contain Vitamin C and Lysine to do just that. Each bottle costs Php 135 only. Find Champs chewable multivitamins at all Mercury Drug, The Generics Pharmacy, and Generika Drugstore branches, and other leading drugstores nationwide. 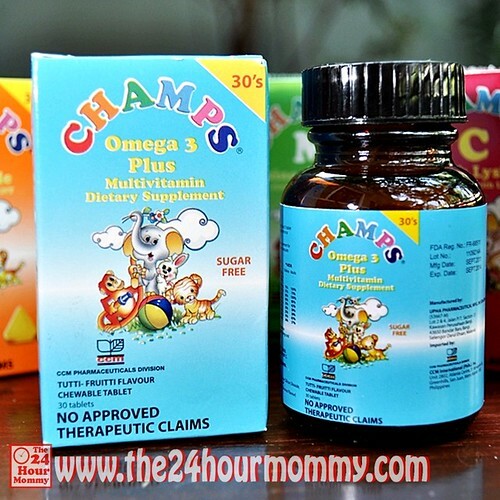 mudra curious ako dito: Champs Omega-3 Plus - Boosts brain development and performance.. ano sabi ni Rap? Ok daw ba? 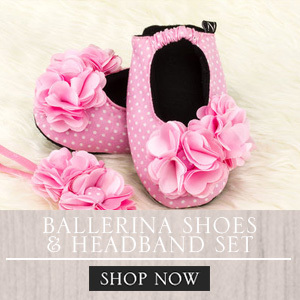 This vitamin sounds new to me, CHAMPS would be great to all active kids. new player indeed, look promising though have you tried?